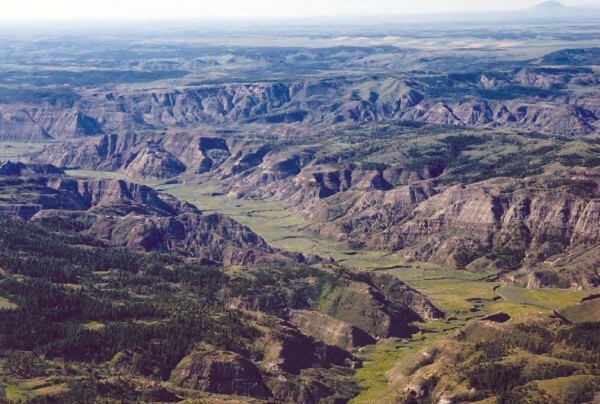 The Charles M. Russell National Wildlife Refuge in Montana. One of the crowning achievements for wildlife protection in the United States was the establishment of the National Wildlife Refuge system in the 1930s, when the populations of waterfowl were perilously low. The various refuges provided breeding and migratory habitat that has allowed a remarkable recovery of many species of ducks and geese. Now the National Wildlife Refuge system is under periodic congressional attack, with attempts to remove lands from protection to foster land development and with measures to prohibit the addition of new lands to the system, even when they become available adjacent to existing refuges. A vocal opposition group wants the National Park Service to reject a gift of more than 80,000 acres that would establish a new park in western Maine. Let’s hope this opposition can be reversed. For national parks and national wildlife refuges, size matters. A rich scientific literature of ecology shows that the preservation of species is greatest when large, contiguous areas of land are protected. Species are lost, especially predators with large home range, when preservation focuses only on small fragments of habitat. One study in Thailand found that nearly half of the species of small mammals disappeared from small pieces of preserved habitat within 14 years after a large natural area was fragmented. Similar rates of loss were observed for birds in newly created small fragments of Amazonian rainforest. As various projects for land development are proposed for Maine, formerly large natural areas are in critical danger of being subdivided. Small protected areas are most vulnerable to invasions of exotic species and to human encroachment along their borders, behooving us to increase the size of parks to minimize their ratio of perimeter to area. In one area of the Amazon, rainforests lost 36 percent of their plant biomass within 100 meters of the border within a couple of decades of isolation. Minimizing the length of border while maximizing area has a lot of advantages. Roxanne Quimby’s gift of lands to form a national park adjacent to Baxter State Park can provide maximum protection to the natural environment. As the developers roll across the landscape, in many cases, we will have only one chance to act. A resident of Lubec, William H. Schlesinger is a retired environmental scientist, a member of the National Academy of Sciences and past president of the Ecological Society of America.